Alex Wright, head of insights at Blis, argues that using the phone someone owns to predict their behaviour or spending power is a futile exercise, but that other data points can help paint a more accurate picture. Apple versus Android: it might just go down as the clash of the titans – albeit in the world of mobile. Just take Apple’s stab at Android during CES as an example, where it trolled Google with a giant billboard poster proclaiming: ‘What happens on your iPhone stays on your iPhone’. This coupled with the fact that, according to a report from Consumer Intelligence Research Partners, even more Android users are switching over to Apple’s Xr than with previous iPhones. The two companies and OSs dominate the market, offering competing experiences for users. There still appears to be a lot of myth and legend around Apple and Android users. But are they really two entirely different users? 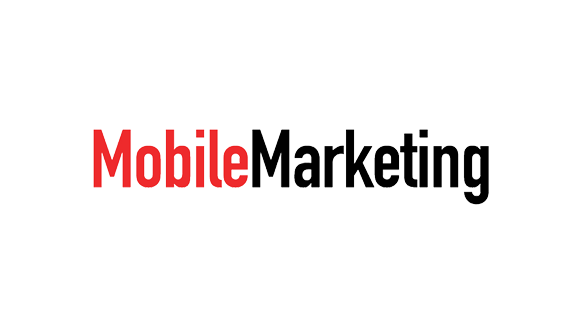 And if so, should mobile marketing strategy vary significantly depending on whether you are an iPhone or an Android user? The iPhone arrived back in June 2007, drawing huge crowds. Some enthusiastic Apple users had been queueing for days to get their hands on Steve Jobs’ flagship phone. A year later, T-Mobile launched the first Android-enabled phone. It’s fair to say there wasn’t quite the same buzz as there had been around the iPhone, but there were crowds of eager early adopters nonetheless. More than 10 years later, Google has every reason to be claiming victory. Apple’s market share hasn’t varied significantly since Android launched – typically hovering around the 15-20 per cent mark. But Android has grown significantly, and Google was fined last year by the EU for illegal practices regarding Android mobile devices to strengthen the dominance of Google’s search engine. Despite this setback, Android has a bigger market share in developing nations and lower-income groups, with enormous growth potential. The two titans do offer noticeably different brand identities and experiences. The Apple brand is very strongly around exclusivity (though 20 per cent market share is hardly exclusive). The Apple logo is particularly powerful, and recently took the number one spot in BrandZ’s Top 100 Most Valuable US Brands. Apple is all about the hardware, offering a suite of quality consumer electronics across phone, tablet, TV, desktop and laptop – a family of companion products. In contrast, Android focuses on the software offer, with its phone operating system running across many different handset manufacturers. Both have effectively carved out their space to grow and dominate in hardware and software, respectively. In doing so they have been able to protect what they have from the other, though they continue to move into one another’s territory. And part of Android’s identity seems to be the alternative for anyone who rejects Apple. At least, if Motorola Droid’s “iDont” campaign is anything to go by. Both have effectively constructed their brand identities. So is there a reason to see their users as fundamentally different? According to a November 2018 study of 1,000 iPhone owners and 1,000 Android owners carried out by Slickdeals, Apple users are “happier, wealthier, and more popular than Android users”. The survey suggested there are substantial differences between lifestyles and spending habits. If this is the case, shouldn’t marketers fundamentally adapt their mobile strategy when targeting these users? In reality, there is no evidence from mobile user data to suggest the Apple-Android identity is more than a superficial – though clever – brand marketing construct. The phone people opt for may be a result of social, fiscal or lifestyle factors, but should not be considered a robust predictor of them. Based on the data profiles built through our own platform, we have found that Apple and Android users do not vary significantly in factors such as demographic, behavioural and location data. As tempting as it may be to think of consumer X with an Apple device as embodying the Apple identity – and credit must be due to the potency of Apple’s marketing for making this persona believable – marketing efforts need to look much deeper. A strong data profile can’t be built through a basic factor such as device type. Trying to define audiences according to the handset they own is as fruitless as it would be to simply target ‘Millennials’, or ‘men’ or ‘women’. There is little tangible value in assuming those who share an incidental 20 year age bracket – or gender – somehow have enough in common for them to represent a ‘target group’ or standalone segment. By looking much deeper into the data footprint that mobile users leave, marketers can add more depth to target user profiles. The beauty of mobile is that many different data points can be gathered and triangulated to build a detailed understanding of the individual using a mobile device. With information such as age, gender, browsing behaviour and retail repertoire, the Apple-Android illusion is broken down into a more meaningful profile. An overarching factor such as Apple or Android won’t be enough to create a detailed segment. Marketers should look past Apple Android brand identities – though device and software capabilities might offer opportunities for creative differentiation – and seek to build rich data profiles from a range of factors.